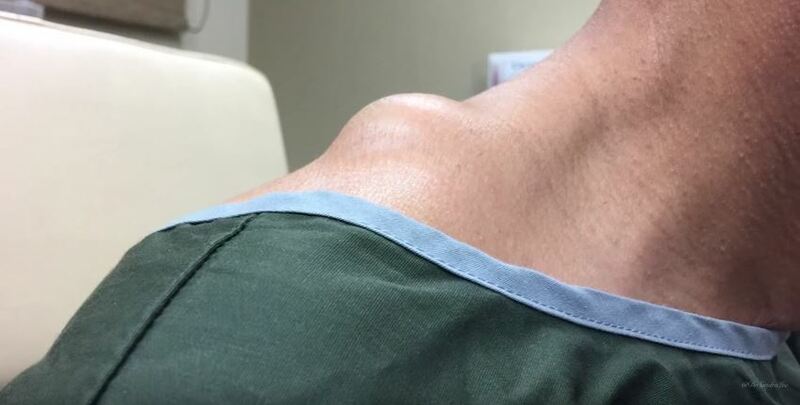 This man literally had the weight lifted off his shoulders after he had a huge egg-sized cyst removed by Dr Sandra Lee. Dr Lee, otherwise known as Dr Pimple Popper, filmed the gruesome moment she removed the massive cyst – which the patient had been carrying for 15 years. People have compared the man’s cyst to a testicle, an overcooked egg yolk, and a baby in an amniotic sac – and removing it looks more like stoning an avocado than removing an abscess. It’s definitely one of the top pimple popper videos of 2016 – and Dr Lee is just as excited. The video has already been viewed over 557,000 times.